Thanks to great strides in technological advancement, orthodontics has become more popular than ever. Orthodontics became recognized as a specific dental specialty over 100 years ago, but the presence of orthodontics dates back thousands of years. Ancient Egyptians used gold wire to straighten teeth, and famous Greek philosopher Hippocrates contemplated tooth straightening, as well as treatments for other dental conditions. Today, your Lake Worth orthodontist, Dr. Ciro Cabal, honors key contributors that helped make orthodontics what it is today. 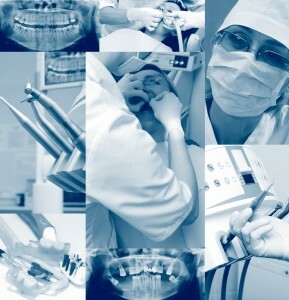 • Pierre Fauchard, a notable French dentist, published the book The Surgeon Dentist in 1728. His book discussed various methods of straightening teeth. • Dr. Norman Kingsley, the first dean of the New York University College for Dentistry, was at the forefront of creating interest in the alignment of teeth. Dr. Kingsley penned the first article about orthodontics in his book, Treatise on Oral Deformities. • J.N. Farrar is considered the first to suggest intervals of controlled force to move teeth, in his A Treatise on the Irregularities of the Teeth and Their Corrections. • Calvin S. Case and H.A. Baker are credited as pioneers in the use of rubber elastics for orthodontic purposes. • Commonly referred to as the “father of modern orthodontics,” Angle’s impact on the world of “orthodontia” was gigantic. Angle coined the term “malocclusion,” and opened up the Angle School of Orthodontia in 1900. Dr. Angle also established the American Association of Orthodontics. At Lake Country Orthodontics, Dr. Cabal and his team use the latest and greatest in technology, like the Gallileos ConeBeam CT Scan. The Gallieos CT machine not only improves diagnostic accuracy, but aids in treatment planning by delivering a detailed 3D scan in mere moments. If you haven’t yet explored the benefits of orthodontic treatment, contact Dr. Cabal at Lake Country Orthodontics in Lake Worth, Texas. To schedule an appointment, call us at 817-236-7846. We provide care for adults, teens, and children. We proudly serve Azle, Saginaw, Springtown, Weatherford, Haslet, Lake Worth, and surrounding communities.